On average, small businesses currently spend about 20 hours per week focusing on their marketing efforts. Do you spend this much time on marketing? More? Less? It doesn't matter how much time you spend each week on your marketing efforts if you're not happy with the results you're seeing. If you're already putting a lot of time into your marketing plan, you might not need to work harder. Instead, you might need to start work smarter. Read on for seven tips on developing a marketing plan that helps you see the results you're looking for. In order to create effective advertisements, you need to know the people to whom you're advertising. When you first start creating your marketing plan, think about your target customer and do plenty of research to get to know them. What is their average income range? Are they single or in relationships? Why would they want to buy your product? This might seem like a lot, but it's really just scratching the surface. The more you know about your target customer, the better. It's not enough just to research your target customer. You also need to research your competitors. Like it or not, your business does not exist in a vacuum. There are other businesses out there selling the same products or services as you, and you need to know what they're doing and whether or not it's working for them. You also need to find out if there are any marketing channels that they're not utilizing. It can be a little scary to evaluate your competitors in great detail. This is especially true if they're currently outranking you or are bringing in lots of new customers. You're never going to be able to match or surpass them, though, if you don't do your research. Which marketing channels are you going to place the greatest emphasis on? Print ads? Social media? Some businesses make an effort to be everywhere all at once. The problem with this approach, though, is it can make it harder for you to truly see a return on your investment. It makes it harder to monitor your results, too, and see where you're getting the most engagement. When you're creating your marketing plan, it's best to choose a few channels based on where your target customers spend the most time. Remember, don't feel pressured to invest in a particular channel just because other businesses are using it. If it doesn't make sense for your business or the type of customer you're targeting, move on to a different channel. As a business owner, you know that money doesn't grow on trees. A clear, carefully planned out budget is essential for every aspect of your business, including your marketing plan. Take some time to figure out how much you can afford to spend on marketing. Then, break it down and figure out where every penny of that marketing budget is going to be spent. Are you going to spend money on paid social media advertising? Or, do you want to dedicate a portion of your budget to hiring a great copywriter or designer to help you with your ads? When you're creating your marketing plan, it's important to think carefully about what you want to accomplish with your marketing efforts. Get specific, too. It's not enough just to say, "I want more customers." Everyone wants more customers. What specific milestones are you going to meet to bring in those customers? A specific, measurable goal might be growing your email list to 10,000 subscribers or ranking number one for a specific keyword. Make sure you put a time limit on your goals, too. Aim to reach them by the end of the month, the end of the quarter, or the end of the year, for example. Who's going to carry out the different aspects of your marketing plan? Are you going to do all the research and budgeting on your own? Or, are you going to delegate different tasks to different members of your team? Ideally, you will delegate tasks to the people who are best equipped to handle them. If you don't have someone on your team who can handle a specific task, consider outsourcing it or bringing someone new on to help you with it. If you are planning to hire additional people or pay to have aspects of your plan outsourced, be sure to include those costs into your budget. Finally, remember to monitor your marketing metrics on a regular basis. Pay attention to what's working and what isn't. Then, once you identify these things, restructure your plan accordingly. Maybe you need to direct more money and time on social media advertising and spend less on direct mail. Maybe your Facebook presence isn't really growing but your Instagram presence is. Remember, all of this information is useful, whether it seems positive or negative. Don't get down if you're performing as well as you'd like in a certain area. Treat it as a learning experience and move on. 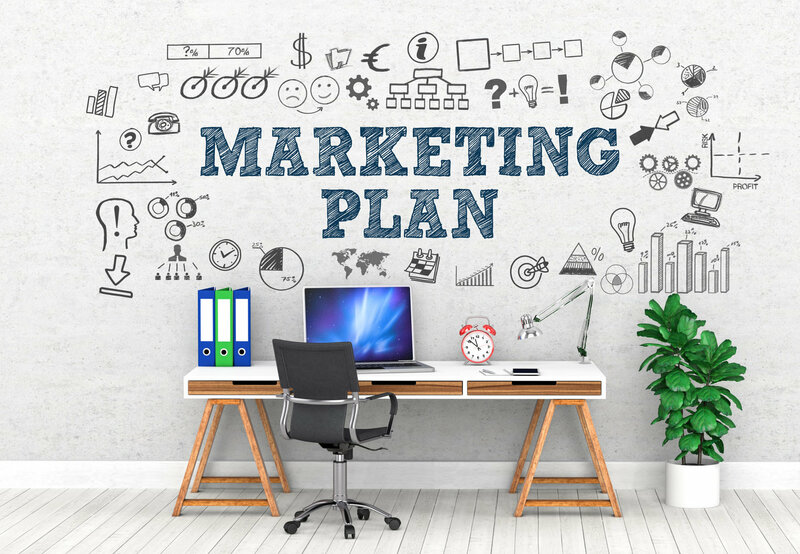 As you can see, there's quite a bit that goes into developing a marketing plan that is effective and helps you bring in new customers. Are you feeling a little overwhelmed at the idea of creating a new marketing plan? Do you need help navigating the process and staying focused on your long-term goals? 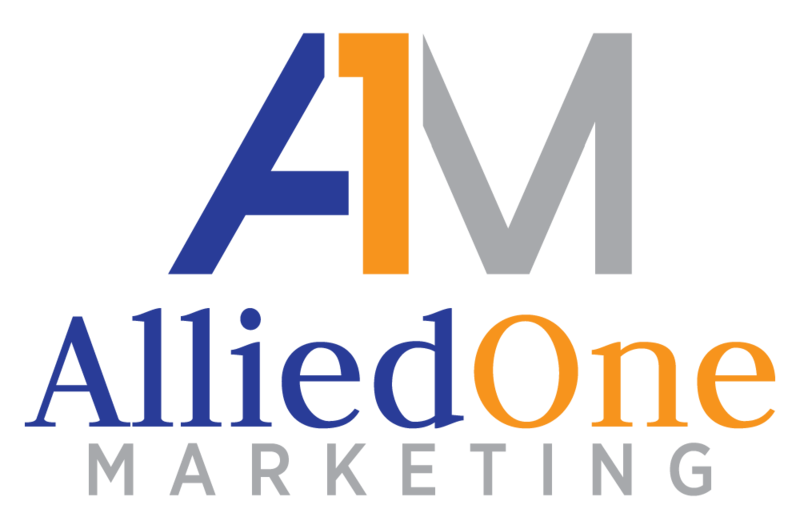 If you answered yes to either of these questions -- or if you would just like some extra marketing-related guidance -- we're here to help at Allied One Marketing. Contact us today to learn more about our services or to get started creating your business's marketing plan.